A Great Fire in Portugal – travelographie. Discovering the world, one story at a time. 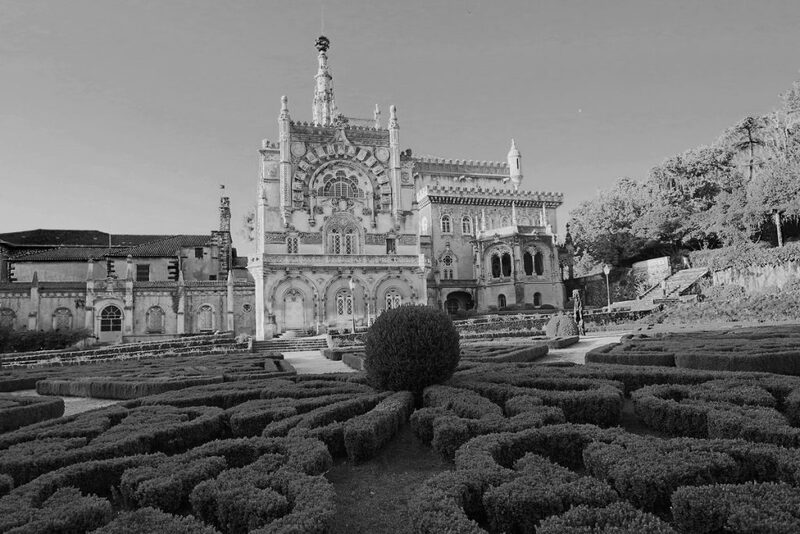 During my last trip to Portugal, I stayed at a bona fide palace, complete with flying buttresses, a butler, a maze garden. It was hotter than the dickens, and one night while we were there, something tragic happened not far outside the palace walls while we were sleeping. 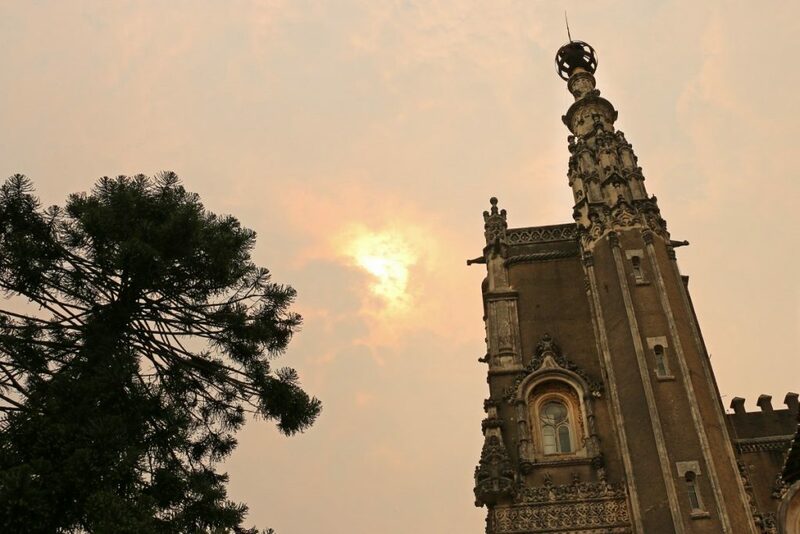 Here’s a story about waking up to the smoke of the worst Portuguese wildfire in recent memory – and the false security of staying in a fortress. While I was researching our first trip to Portugal, I spotted a small town on the map near the center of the country called Luso. We needed a stop-over as we traveled from Portugal’s second city of Porto in the north, on our way to Lisbon. 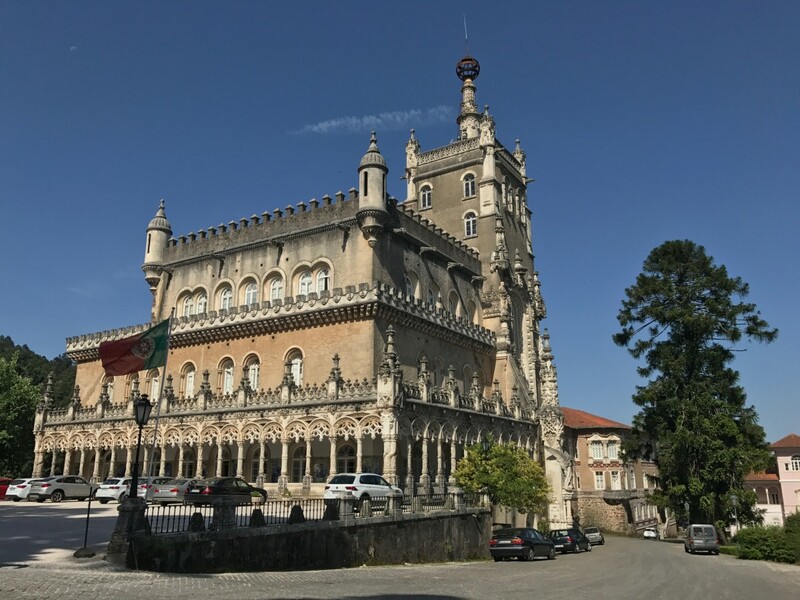 The name had a ring to it (like luz, “light”), and when I found that we could stay at a real palace, the 5-star Palácio Hotel do Buçaco, for 125€ a night, I made the booking. As a rule, I don’t stay at fancy hotels. I prefer to spend my travel budget on experiences than accommodations. In practice, I find that the cheaper the accommodations, the more likely I am have to a memorable experience: it’s easier to strike up a conversation with someone staying at a guesthouse or your Airbnb host than the types of businesspeople and upmarket tourists who choose luxury hotels. A beautiful setting can make an impression, but for me, it’s usually the people I meet there who turn it into an experience, and a memory. Still, for the price and the unique surroundings it promised, we decided to make an exception and live it up at a Portuguese palace for a couple of nights. We drove up a winding mountain road from the spa town of Luso to reach the hotel. As my husband and I stepped out of the car, we looked at each other, incredulous and maybe a little intimidated that we would be staying in so imposingly beautiful a place. 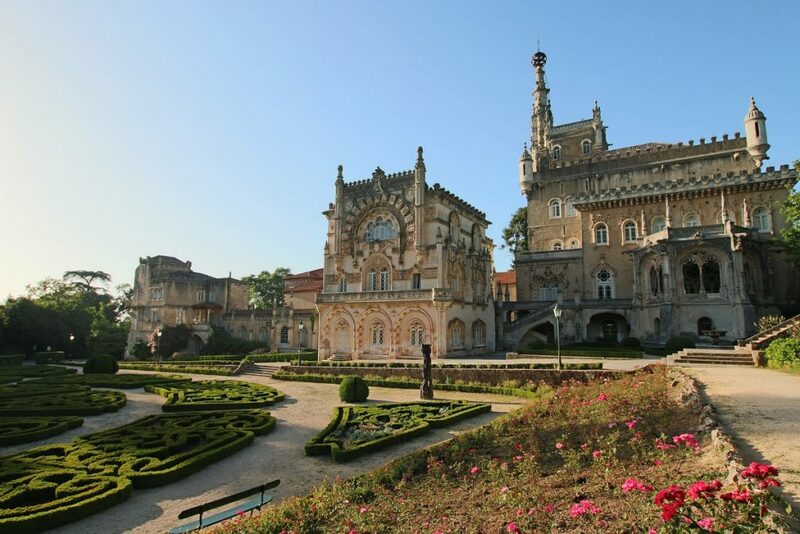 The park and palace grounds of the Palácio Hotel do Buçaco are open to the public, but entrance to the palace interior is accessible only to hotel guests. A butler greeted us at the door, confirming that we were in fact guests of the hotel, and swept us inside, closing the door resolutely behind us, a hot gust of wind pushing us into the foyer. We checked into our elegantly appointed room, with substantial wooden furniture, gilded mirrors, and delicately patterned wallpaper. A heavy glass door opened onto a small stone balcony in the shadow of the main tower. We set off to explore, and with the hotel off limits to everyone but guests, we basically had it all to ourselves. There was hardly anyone there. Creaking doors bellowed into cavernous rooms, and we found ourselves treading lightly through the halls as we wandered into wings we weren’t sure if we were supposed to be in. I was in awe of the architecture, a Gothic revival style known as Neo-Manueline that makes the palace seem much older than it really is. 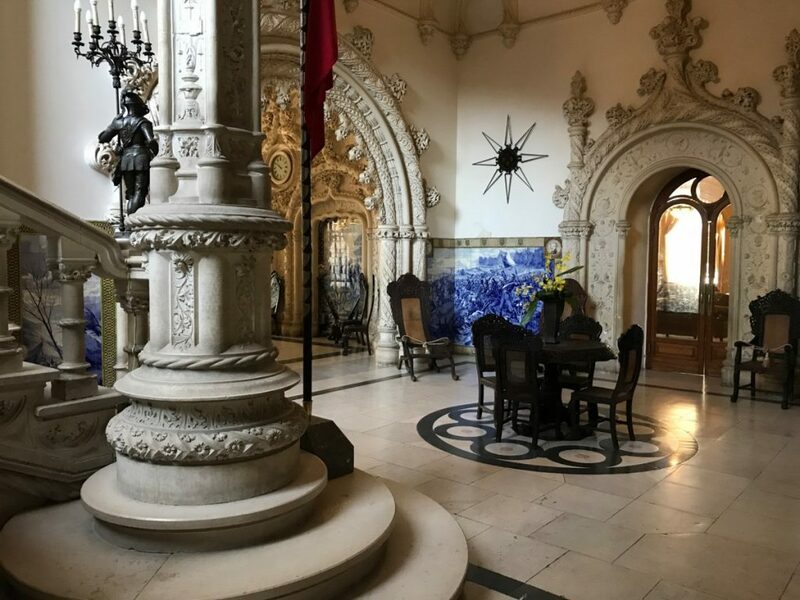 The (original) Manueline style harks back to the height of the Portuguese Age of Discovery at the turn of the 15th century, and is characterized for stonework showcasing naval elements and exotic flora and fauna. The intricate carvings of marine and botanical curiosities were inspired by the bounty of never-before-seen plants and animals brought back to Europe by the Portuguese explorers from the shores of newly “discovered” Africa and India. The Indian-influenced filigree work woven into the white marble gives the stone a light, lacy airiness. It’s really, really beautiful. With all this emptiness came a subtle eeriness, amplified by the stillness of an oppressively hot and windless day. The palace interior was also a tad past its prime and run-down around the edges, giving it an air of nobility-in-decline, riding on the grandeur of another era. The Palácio do Buçaco surely would have had a different vibe if the daytrippers to the park had been allowed to wander the halls of the palace taking pictures. The management must have instituted that rule to protect its guests from being disturbed. But this conspicuous exclusion also made me feel a little uncomfortable. I mean, there was a butler who guarded the door. It was a custom from a different era. 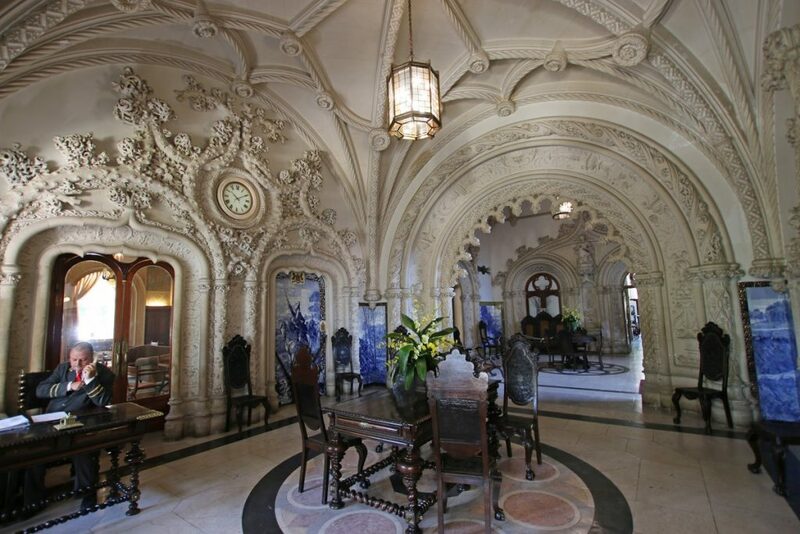 The grand staircase at Palácio Hotel do Buçaco. Still, it was a special place, and we were excited to be staying in a palace. After a day of sight-seeing in the nearby UNESCO world heritage university town of Coimbra, where we had visited Biblioteca Joanina, an 18th century library that sheltered the world’s knowledge for Enlightenment scholars, we ordered cold drinks at the palace’s terrace bar, trying to cool down. Temperatures reached over 100 degrees (40°C), and the heat smothered the surrounding valleys. Up here on the mountain, it was a few degrees cooler, but nowhere near cool. It was one of those days where the heat hung so heavily that the wind didn’t even try to blow. Me at the terrace bar, trying to cool down. The temperatures had been climbing throughout the day, and by that afternoon, the air was completely still. Unnaturally still. Something felt off – maybe it was the weather, or maybe it was just this strangely anachronistic palace-hotel. But we were on vacation in this beautiful country, in this beautiful place. After a wonderful meal that evening in Luso and a little too much wine, we went back to the hotel and tried to sleep. The room didn’t have air conditioning, so we pulled back the curtains and opened every window to the balcony. Without a breeze, though, we were blanketed in the thick heat and it took a long time to fall asleep. Sometime hours later, but hours still to go before dawn, I woke up to the drapes whipping into our room, like a flag in a storm. There was an unusual, slightly sour smell in the air, as if someone had left a cigarette burning somewhere outside. Thinking it might begin to thunder and rain, I wrapped myself in a robe and went to the balcony to close the French doors and windows. Still sleepy and stumbling through the dark in a room that wasn’t my own, I was experiencing the moment (and now the memory) in the third person, as a scene played by someone in a movie, or me in another life, as I wrapped myself in a robe, in this succulent setting, and walked toward the balcony. I stepped outside and the odor got markedly stronger. I took a deep breath. It smelled like smoke, but I couldn’t be sure. It was somewhat astringent, more akin to pine than outright fire, with a trace of exhaust. I couldn’t decide. The sky also seemed brighter than it should have been at the darkest time of night, illuminated uniformly as if from behind, like a backdrop in a theater. I looked up for a sign in the starless sky. Could it be a fire? At least from where I was standing, I didn’t see anything to suggest it. I closed the windows and peaked into the hall. No smoke or flames or alarm going off there, either. Maybe it was just some strange tree sap given off by the large pine in front of our window, I thought as I slid quietly back into bed. I fell back to sleep uneasily and plunged straight into a bad dream. I awoke the next day breathless, with spotty recollections of the details of the nightmare, knowing only that I had been on the run, fleeing from something. After breakfast, we went back to the room and sat on the balcony. Even though it was around 10AM, the sky was still rather dark, making it feel more like early evening than mid-morning. Yesterday had been a perfectly cloudless day, and last night, low clouds and a cold(er) front had settled in. But they weren’t normal clouds. They hung low and dirty, the sun shining mustily behind. The sky was matte. The sun trying to come out from behind the smoke of Portugal’s worst wildfire. We checked out the hotel later that morning. “How was your stay?” The concierge asked us pleasantly. “We hope you will join us again here soon.” He recommended that we visit a vantage point a short drive away at the peak of the mountain for panoramic views of the surrounding valleys before leaving. I was still feeling uneasy, but because I couldn’t put my finger on it, I kept quiet. We drove up the vantage point the manager had recommended, but there wasn’t much to see. The valleys were filled with masses of thick brownish-grey smog, muffling the sunlight through a dirty blanket of clouds and smoke. The Portuguese wildfire of June 2017. What is going on here? 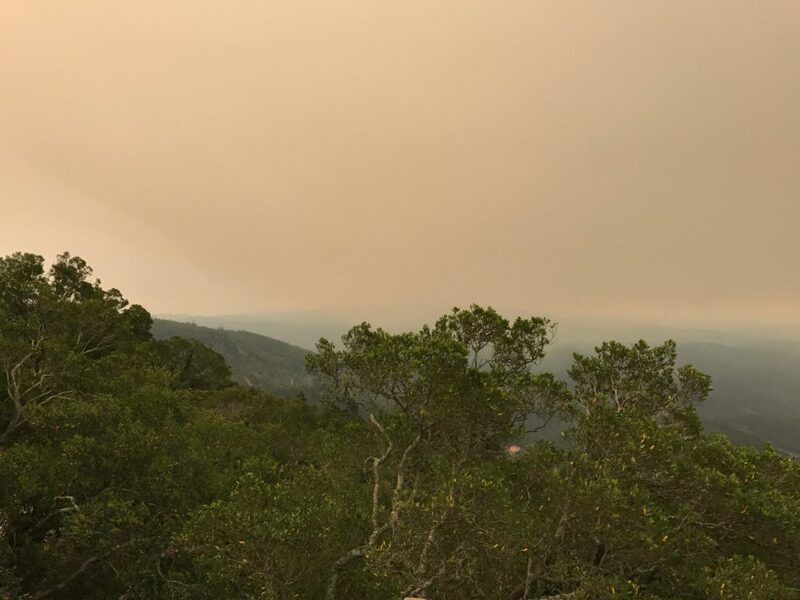 Dominik pulled out his phone, googling the obvious “Portugal fire.” Sure enough, the night before there had been a series of wildfires sparked by the high temperatures and drought conditions, spread by the gusty winds that moved in last evening. Some 30 miles from here. It made the international news: German, American, British. As we surveyed the smoke-filled valley below, we read that the fires had claimed over 60 lives. Many of the victims had been trapped in their cars as they were trying to flee on mountain roads. The Portuguese government had declared a state of emergency, calling it the worst wildfire in decades. Reinforcements were called from Spain and France to help contain the fires. A three-day state of mourning was declared to commemorate the victims. The entire valley was filled with musty smoke. We drove on to our next destination, out of the smoke and towards the sea. We sat in silence, settling accounts with what had just happened. Staying in Luso had been an arbitrary decision – we could have just as easily ended up in the epicenter of the disaster. It had been a close call, but that wasn’t what continued to bother me. I kept thinking back to last night, as I stood on the balcony. Because the fire wasn’t knocking at my door, I ignored all the signs pointing to danger and went back to bed. I didn’t even think about what might be happening in the valleys below. I wondered how much my reaction had been shaped by my surroundings. Up there in that palace, in that impermeable stone fortress, we were cut off from the world. It felt far away from everything. The Internet didn’t even work in the rooms – the stone walls were too thick. Maybe it was this isolation, and the security that comes with it, that allowed me to ignore telling signs, to doubt everything my senses were insisting I react to. Surely the staff had known what happened. They would have at least heard about it on the radio during their drive in from the towns below and beyond. Maybe they hadn’t wanted to trouble their guests with the unpleasant news. It seemed strange to me that they hadn’t alerted us to what had happened the next day, that they simply went on with the usual scripted pleasantries of service. But then again, I hadn’t asked. So this must be how it happened, over and over throughout history. It must actually be true – that the aristocrats living in castles, palaces, estates and the like sometimes truly had no idea what was happening beyond their property, or even on it. They ignored, or were shielded from the signs that people were suffering or that revolution was fomenting in the streets until it could no longer be ignored. Until the mob was at the gate, smoking them out of their cloistered fortress. The wildfires were no act of God. As I would later read, they were a perfect storm of political, economic, and climatic forces: decades of forest mismanagement, widespread cultivation of non-indigenous eucalyptus trees grown for pulp and timber (the oil of which is highly flammable), and an extended summer drought with unusually high temperatures. Unfortunately, most of the people who make the decisions guiding our political and economic lives still inhabit places like these. Fortified by their wealth and power, they are sealed off from the consequences of their decisions, which mostly take place behind their stone walls. It’s fun to visit palaces, and it is quite an experience to stay in one on vacation. But no one should be living in one. For their sake, and ours. 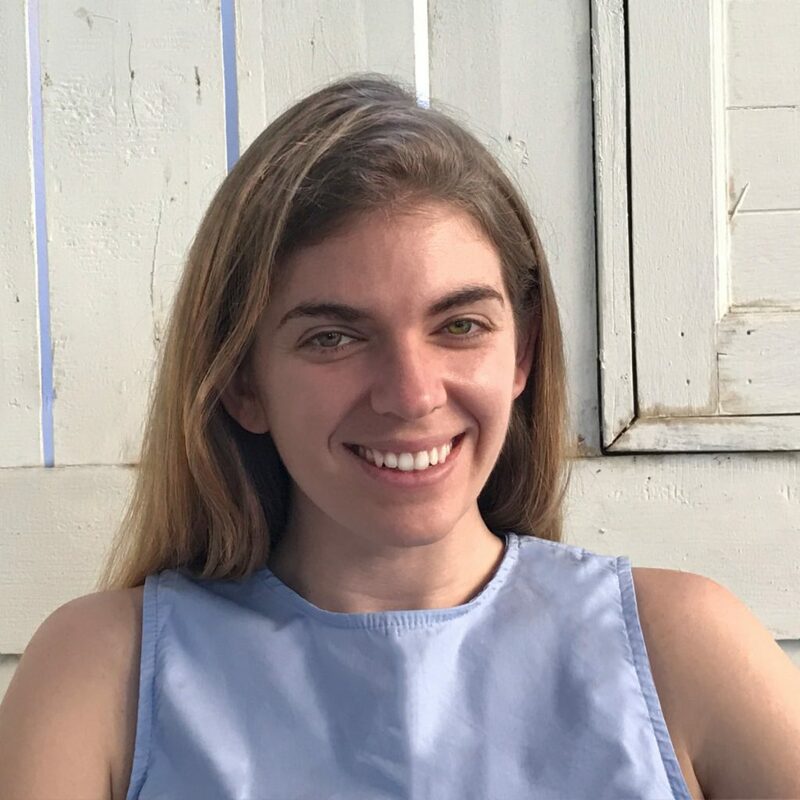 I’m Carly, a writer, translator, and world traveler. 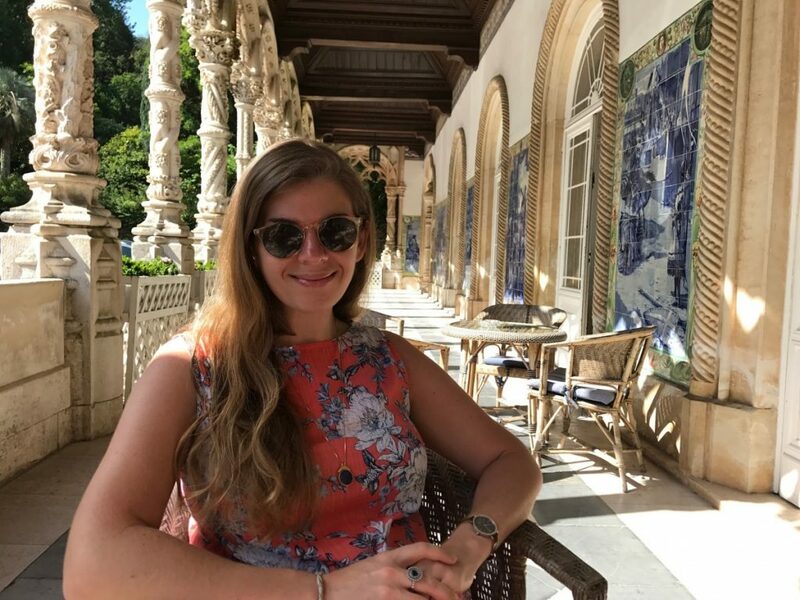 I write personal essays, plan travel itineraries, and jot down all the best travel shortcuts I’ve uncovered during my travels to over 50 countries on 6 continents. More about me! All reviews and opinions expressed here are my own – there is no paid or sponsored content on this site. I love my day job and don’t earn my living as a travel blogger. I write on my own terms, in the spirit of sharing and spreading information that all good travelers live by. I hope the information I provide will help you plan adventures of your own!